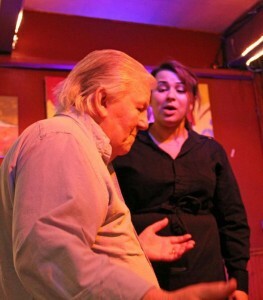 We are very sad to announce that Cafe 322 will be closing its doors this Sunday night 4/29/2012. Seven years to the month we opened. Looking back at all the amazing wonderful people whom lives we are grateful to have become part of. Our beautiful loving and loyal crew and family…Nana Lalli, Larry & Gina Lalli, Olive Lalli, Mario Lalli Sr, Dino Lalli, Jennifer “Jen” Kloss, Kevin “KEVO” Lee, Vanessa “Netterz” Zajac, Jessica”Cheekz” Renaeu, Dianna Briscoe, Connor Boyd, Sihobhan “Shivonee” Boyd, Mary Lopez, Brenna Navarro, Adrian Guzman, Kyle, Mitch Seacrest, Anna Greenburg, Nikki Dyer, Ashley Wells, Valdo !, Riley Stevens, Lucas Downtain, Joey Reza, Christina Fisher, Shawna, Billy, Tim Tut, Oscar ….so many great people that worked so hard for us and not to forget the incredible music… from the arias of opera night to punk rock and free jazz. The dance floor burners and the swing dance turners, bluegrass, roots rock, be bop, strait ahead, salsa, surf, heavy metal, flamenco, big bands, trios, duos & solos. We have so many songs to remember…Gil Bernal (RIP), Jack Sheldon, Jennifer Lietham, Bobby Bradford’s motet, Mercy & the Merketts !, New Astro Turf, Flat top Tom,Tony Zamora & Tremoloco, Snotty Scotty & the Hankies, Jon Mayer, Vr & Putter Smith, Lightnin Willie, Cheryl Barnes & Philipp Cabbaso, Bruce Forman & Cow Bop, Harry Smallenburg Ensamble, Lisa Finnie,Dave Bedrock Bedrosian, Dave Osti !!! !, Deanna Cogan, Riner Scivaly, Pasadena City College Jazz singers, Andrea & Steve Wilkerson, Mary Durst, Connie Washburn, Donovan Muradian Quartet, John Fick Big Band, Steve Huffsteder Big Band and Dee, Rick Shea, Bliss Bowen & the song sirens, Pete Anderson, Double Naught Spy Car, The Trip, Dread Zeppelin, Illiana Rose, the Los Dos, Paul Liones, Fatso Jetson, Spindrift, Jenny Luna & the moon dogs, Human Hands, The crane lake serenders, Jerry Waller, Max Buda, Judy Platt, Judy Wexler, Susan Krebs, Elliott Caine, Brick Whal, Saccarine Trust, Mike Watt, Black Widows, Geno & the Standards, Danny & Norma Gurerro, Mario Staracci, Jenny & Joey Diauria, Gaea Schell, John Fields, Paul Kriebeck, the Aluminum Marshmallow, Bobby Robles, BB Chung King, Mike Stover, The usual gang of idiots, the Adolescents, White Flag, Totimoshi, Anesthetic Frank, Half Astro, Alexis Soto, Rob Rio, David Hidalgo, Joe Hidalgo, Vincent Hidalgo, Bank shot !, CHris Murphy, Doug Webb, Black Tongued Bells, Dub Thief, Joe Bartone, Joe LoPiccolo, Sudbury & Ramos, Roger Espinoza, Vin Fiz Flyer, Briseyda Zarate, Marie Claire, JANE FULLER, Are you a Cop, Jimbo Ross, The Superstitions, The Atomic Sherpas, Peter Lewis of Moby Grape, John Walker (RIP), Richie Hass (RIP), LOVE revisted,Azusa Pacific Big Band, Glendale College Big Band, Pete CristLieb, Sean Wheeler & Zander Schloss, Luther Hughes, Barry Brenner, Chriss Conner, Dave Tull, Don Preston, Auto Modown, Yawning Man, The Upside Down, Brant Bjork & the Bros, Joe Bagg, Chuck Mannig….the list goes on….come by and say good bye….thanks for all the love & support Sierra Madre…Tutta Forza ! This pic (above left) kinda sums it up for me….my daughter Olive (20) & my Dad Mario, Sr. (88) singing a duet every Sunday night.